Natalie Portman has been nominated for the Best Actress Oscar for her performance in Pablo Larraín's impressive Jackie; her second-ever recognition in this category, having won in 2010 for the role of Nina Sayers in Darren Aronofsky's Black Swan. Curiously, Black Swan and Jackie showcase Portman is extremely similar ways, both thematically and formally, even if one film is a horror story about a fictional ballet dancer and the other is character study of a former First Lady. Both movies grapple with questions of optics, performance, and artifice, and how these layers of deception affect the real person underneath psychologically; the use of close-ups and point-of-view shots of Portman's wide-eyed, anguished face and the downright terrifying recurring musical themes in Jackie almost recast this already-unconventional biopic as a horror movie--of Jackie Kennedy drifting through her own personal hell that is the aftermath of her husband's murder. Yet the way Jackie presents the eponymous character's relationship with her role as an icon, as First Lady, as grace and class incarnate is far more sophisticated than the bloody, violent suffering of Nina Sayers, using multiple layers of storytelling that blur the line between truth and lies, between honesty and artifice. 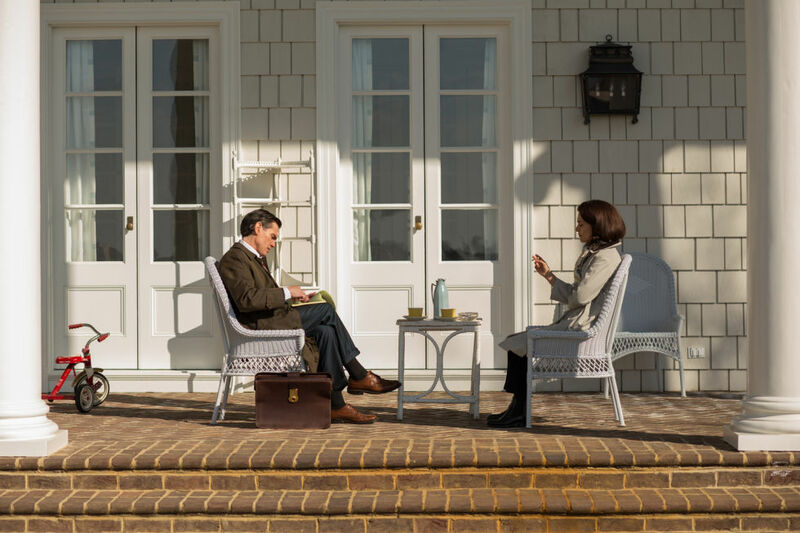 The action of Jackie is presented within a frame narrative, where a reclusive Jackie is interviewed by an unnamed journalist (Billy Crudup) about the aftermath of her husband's death. The journalist wants the real story, while Jackie, ever-conscious about her image and how she--and her husband's legacy--will be remembered, is loath to allow this journalist to expose her. She allows him to write down their conversation, of course, but retains the right to correct the narrative as she sees fit, taking pains to keep the icon of Jackie Kennedy as meticulously constructed as ever. Over the course of their interview, Jackie's desire to consistently reframe the narrative to her liking has self-reflexive consequences for the movie itself: while we do see flashbacks of Jackie moving to act to preserve her husband's iconic status, we also jump back and forth between the past and present storylines to see Jackie outright contradicting what we, as the audience, have just seen on the screen only moments earlier. The more she and the journalist talk during the film, Jackie seems to open up bit by bit, wavering between speaking brutal truths and demurring with more palatable lies, condemning her own obsession with optics and how she will be perceived, all the while keenly noting that optics are all she has. In the immediate days following her husband's death, we come to see that Jackie and the Kennedy clan's desire to maintain their perfect image--and the so-called "Camelot" of the Kennedy years--is both a blessing and a curse. On the one hand, Jackie uses performance as both a weapon and a crutch following John's death as she throws herself into the necessary optics of the funeral, refusing to engage the intangible and frightening aspects of her future as a young widow. Indeed, her role as the First Lady was that of the first hostess, the ornamental, cultured wife, and so she finds herself having to wield the last gasps of that power--the power of the façade--in order to cement her husband's legacy. Yet as Jackie and Bobby Kennedy (Peter Sarsgaard) come to realize, the necessity of staging an unforgettable funeral is borne of the absence of a truly substantial Kennedy presidency. Decrying his brother's rather shaky legacy--lack of progressivism on civil rights, the Bay of Pigs fiasco--Bobby ruefully reflects on how the Kennedys will only be remembered as the "beautiful" people. In order to compensate for the lack of actual substance in the Kennedy years, they have to put on the most memorable funeral possible if there is any hope of John being remembered. By the end of the film, the contrast we observe among Jackie's many personas--the gracious hostess presenting her redecorating of the White House on television versus the enraged, bitter former First Lady who smokes like a chimney versus the comfortingly maternal mold the journalist plans to cast her in for his article--couldn't be more stark. And yet we have to wonder how much of the so-called truth we have seen in these flashbacks is indeed the real story--whether Jackie and/or the movie itself are manipulating the truth the way she does with the journalist. Yet despite Jackie's own failures and misgivings, what she hoped to achieve actually did come to pass--John F. Kennedy is one of the most popular presidents to this day. Nearly every aspect of Jackie--from the directorial choices to the casting to the costume design--is utterly masterful. 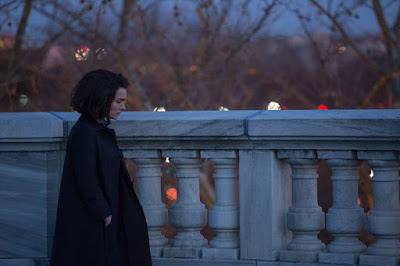 Even if she isn't a complete ringer for Jackie, Portman conveys every nuanced expression, every moment of pain and doubt, with aplomb and skill. 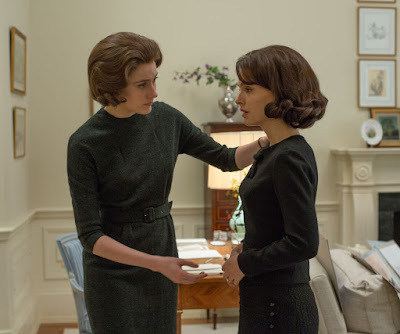 While I did have to wonder how accurate that quasi-European-ish accent she uses is, since I haven't seen much footage of the woman herself, Portman combines all of the disparate elements of Jackie Kennedy into a believable character in her own right. The sequence where she goes through her wardrobe and jewelry box, drinking like a fish and listening to Camelot on the record player, manages to completely evade any instinct of laughter or hint of overacting. Likewise, Peter Sarsgaard also shines, despite his lack of resemblance to Bobby Kennedy (though his accent was probably easier to do); the rapport between Jackie and Bobby is incredibly moving to watch, and in Bobby's more passionate moments, we get a glimpse of the kind of president he very well could have been had he not been assassinated during the Democratic primary of 1968, furthering the tragedy of it all. Billy Crudup's performance as the journalist keenly navigates between the necessity of hard-nosed reporting and his wry fascination with Jackie and her undeniable star power. The late John Hurt, in one of his final roles, is a convincingly wise and comforting Priest, while Greta Gerwig's Nancy Tuckerman is a cool head and a steady hand to Jackie when everything else seems to be falling apart, even if she doesn't get quite enough screen time to establish more depth. Pablo Larraín's direction ties every loose strand together with ease and grace, his camera condemning, challenging, coaxing out meaning and wringing beauty from a bloodstained pink suit.